A Foxconn factory in China. The company is looking to expand its U.S. operations. Foxconn Technology Group said Friday it was considering an expansion of its operations in the United States. The move comes just one day after Apple CEO Tim Cook's splashy announcement that Apple will begin making some Macs in the United States. Foxconn plays a key role in Apple's supply chain in China, but its reputation has suffered in recent years as details of poor working conditions at its factories have emerged. "We can confirm that as a part of its long-term global expansion plans, Foxconn is exploring the opportunity to expand its existing manufacturing operations in the U.S., which have always been a part of our global manufacturing operations, to meet the needs of our customers and to leverage the high-value engineering talent that is available in that important market," the company said in a statement. Foxconn already operates plants in Texas and Indiana through its Q-Edge subsidiary. Louis Woo, a Foxconn spokesman, told Bloomberg earlier Friday that the expansion was being made to accommodate the wishes of its customers. "In general, customers want more to be done there," Woo said. Foxconn does not usually comment on specific clients. But it is known that Foxconn supplies parts to Apple and other manufacturers, including Intel (INTC), Microsoft (MSFT) and Cisco (CSCO). Apple (AAPL) outsourced most of its Macintosh manufacturing to China in the late 1990s. But news that some production will be brought back to the United States should boost Apple's public image after countless damaging reports of unsavory working conditions at Chinese manufacturing plants. Several of Apple's suppliers, including Foxconn, have limited U.S. operations. Woo told Bloomberg that Foxconn's U.S. operations primarily make "partially-assembled products," including servers. Many have speculated that the timing of Foxconn's announcement is no coincidence, and the company will likely manufacture Apple's made-in-the-U.S.A. Macs. 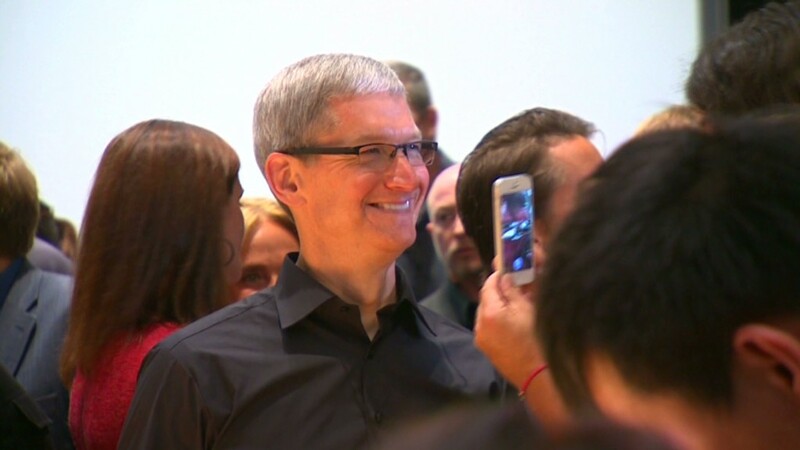 In an interview with Bloomberg Businessweek, Tim Cook said Apple's commitment to make some Macs in the United States "doesn't mean that Apple will do it ourselves, but we'll be working with people." Choosing Foxconn as its third-party U.S. manufacturer would be a relatively seamless transition, since Apple currently contracts its Mac production to Foxconn in China. With the U.S. desperate for well-paying jobs, an announcement from the world's most valuable company that some production is coming home couldn't have been better timed. Still, it's not exactly clear what Foxconn's planned expansion will look like. 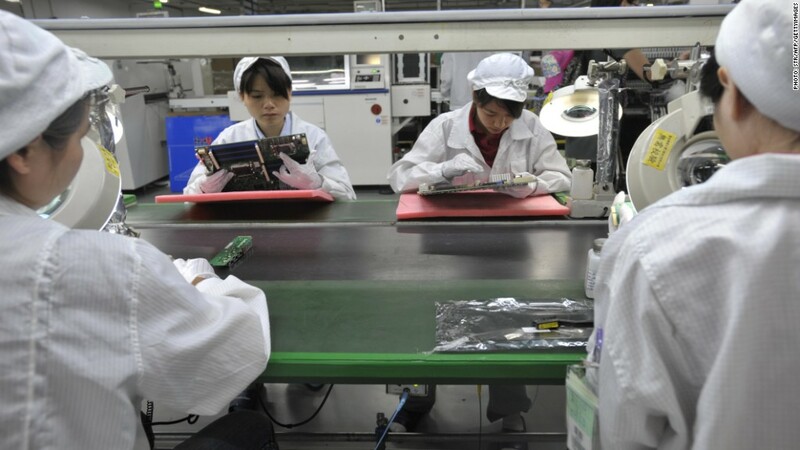 Unlike U.S. plants, Foxconn and other manufacturing operations in China house employees in dormitories and can send hundreds of thousands of workers to the assembly lines as soon as they are needed. On the lines, workers are subjected to what most Americans would consider unbearably long hours and tough working conditions. That system gives tech companies like Apple the efficiency needed to race products out the door. In addition, most of the component suppliers for Apple and other tech giants are also in China or other Asian countries. That geographic clustering gives companies the flexibility to change a product design at the last minute and still ship on time.